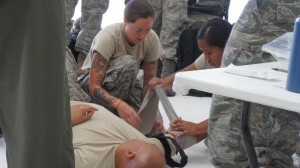 JOINT BASE PEARL HARBOR HICKAM, Hawaii – Hawaii Air National Guard holds it first Readiness Rodeo to accomplish self aid buddy care and surviving in a chemical biological and nuclear environment ancillary training requirements. 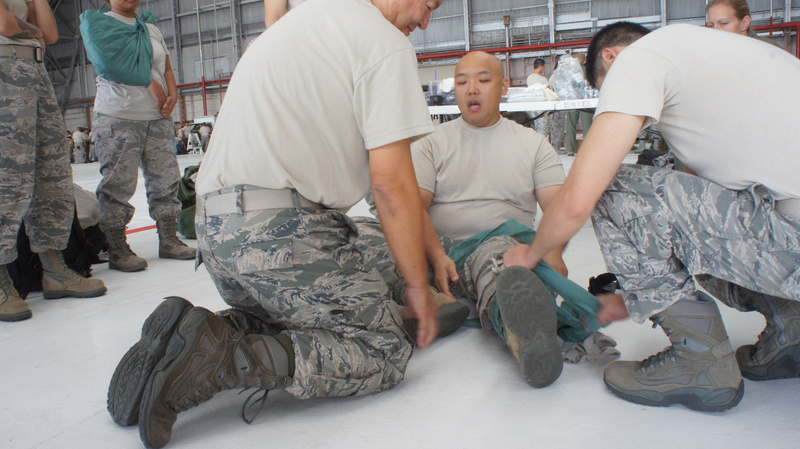 During august unit training assembly hundreds of airman from the Hawaii Air National Guard gathered together in a massive hangar to accomplish two blocks of ancillary training. 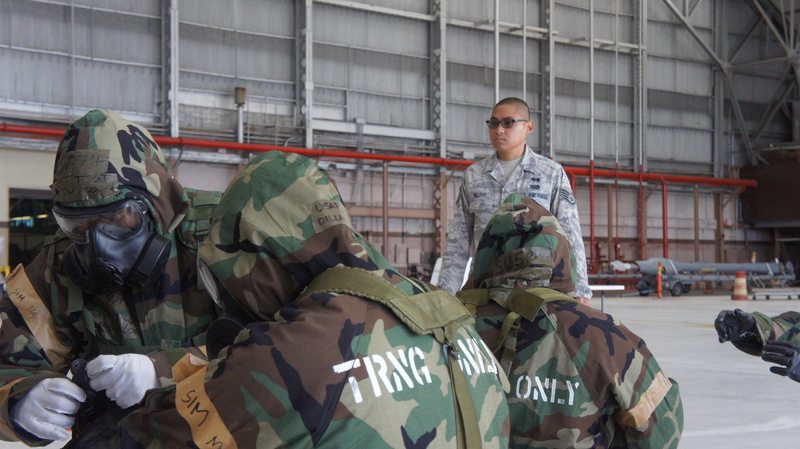 These airmen received classroom and hands on training in self aid buddy care and surviving in a chemical biological and nuclear environment. 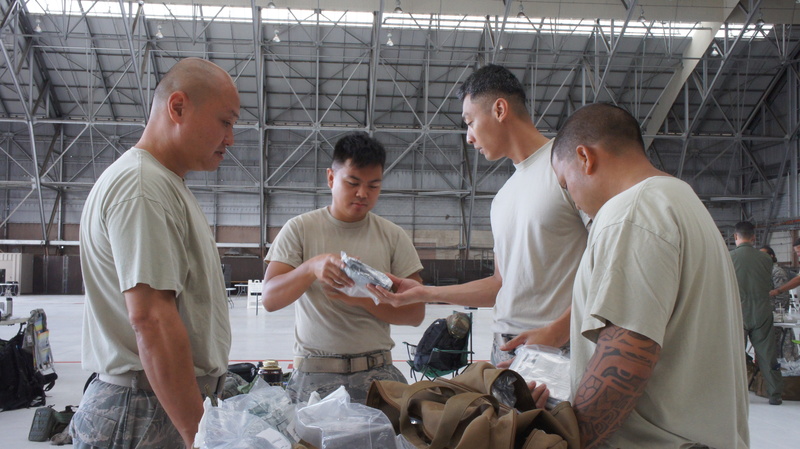 This is the first time the HIANG is using this approach on these areas of ancillary training and represents a shift in focus as the Air National Guard is attempting to ease the strain of annual training requirements while growing in their shop specific competencies. 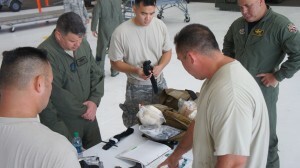 The Air National Guard only has 312 training hours a year for each of its airmen and almost 90 percent of that time has been spent accomplishing ancillary training requirements, many of which are computer based. Also many shops only have one computer for every five airmen leaving them often waiting in line to accomplish a single block of training. 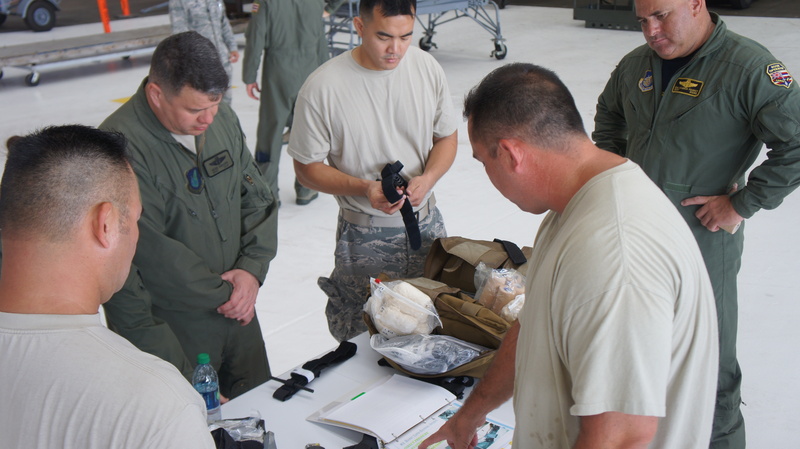 This new approach seeks to deliver the classroom sections of training in a mass environment closely followed by hands on instruction in smaller groups, facilitated by an instructor. An added bonus of this approach is that each unit now has an instructor that can refresh the skills of its units airmen, and the computer based training is still available for those who could not attend the mass training. 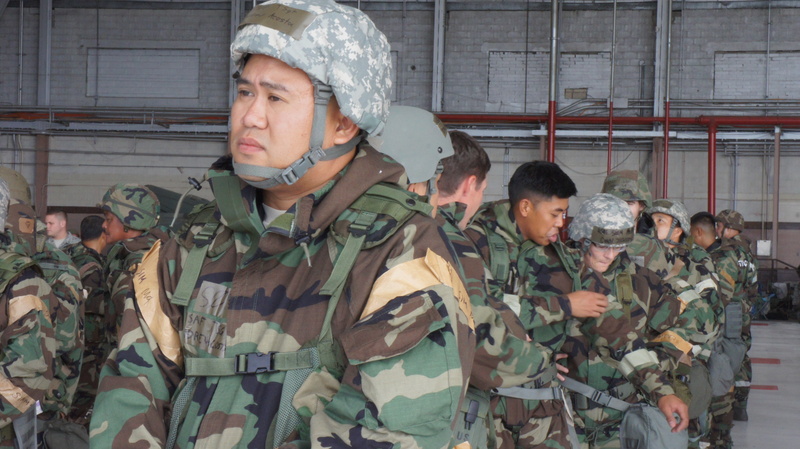 Traditionally the instructor role for the hands on portion of the CBRNE and SABC training was fulfilled by readiness and or medical squadrons, but now they are training the instructors and raising the base level of competence across all the shops. The shop level instructors are required to have a five level in their specific jobs, and be current in their training. In one afternoon the units accomplished what could have taken up to two drill weekends to complete. Many leaving with 100 percent of the unit’s personnel trained. 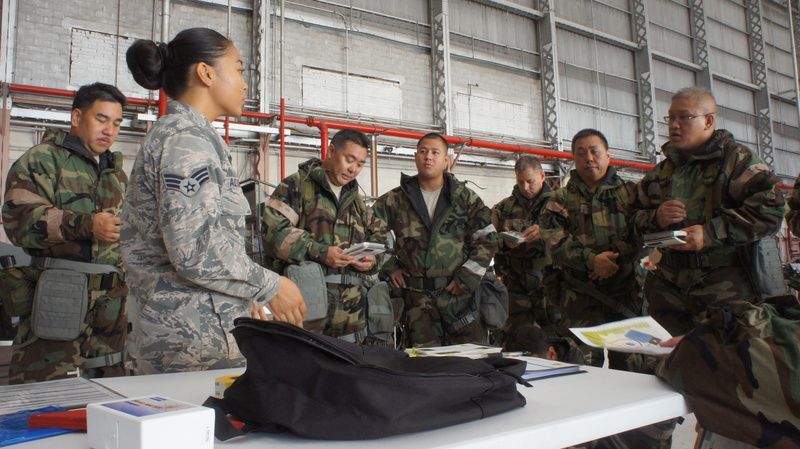 This gives commanders and supervisors more time to spin their airmen up on the specific mission training needed in their shops.